Dr. Asher Kimchi, M.D. is an Attending Physician and Vice-Clinical Chief in the Division of Cardiology at Cedars-Sinai Heart Institute in Los Angeles, California, USA. Since 1983, Dr. Kimchi has been Attending Physician in the Division of Cardiology at Cedars-Sinai Medical Center. He is a Clinical Professor of Medicine in the David Geffen School of Medicine at UCLA. He is also the Founder and Chairman of the International Academy of Cardiology. He has been a Director of New Air, Inc. since September 7, 2009. He served as a Director of Baby’s Breath Ltd., since May 5, 2009. He is an internationally recognized cardiologist. Over the past 30 years, Dr. Kimchi has been actively involved in many clinical research projects, dealing predominantly with diagnosis and treatment of coronary artery disease and congestive heart failure. Dr. Kimchi is editor of eight cardiology books and his scientific articles have appeared in many prestigious peer review journals. He also serves on the editorial boards of leading cardiology journals. Over the past 20 years Dr. Kimchi has served as Chairman of 16 large-scale International Congresses on Heart Failure and Heart Disease. Dr. Kimchi is a passionate community activist and has been involved in multiple philanthropic projects to fight Heart Disease. He has chaired or co-chaired many successful fundraising events. He serves as co-Chair of Medical Friends of Hadassah, Board Member of the American Friends of Israel’s Heart to Heart Foundation, Board member of the Save-A-Heart Foundation, and Member of the Medical Advisory Board of the Heart Fund of Cedars-Sinai Medical Center. He is Board Member of the American Heart Association, Los Angeles County Division. Dr Kimchi is a member of the Executive Committee of the American College of Cardiology (ACC), California Chapter and Vice-Chairman of the Foundation for the Prevention of Cardiovascular Disease and Stoke of the ACC California Chapter. He joined the Israeli Air Force as a Flight Surgeon and subsequently served as Commander of the Israeli Aero Medical Evacuation Unit, achieving the military rank of Major. He was President of the American Heart Association, Los Angeles County Division. He is a fellow of the American College of Cardiology, American College of Physicians and American Heart Association. In 2006, Dr. Kimchi was honored by the American Heart Association and received the prestigious ‘Passion of the Heart Award” for “distinguished career in cardiology, and lifetime dedication and leadership in cardiovascular education worldwide.” Dr. Kimchi has the distinction of being listed in ‘America’s Top Physicians” (2002-2006), ‘America’s Top Cardiologists” (2007-2009) ‘Best Doctors in America” (2009-2010) and was featured in Los Angeles Magazine in December 2008 as one of ‘Southern California Super Doctors” in the field of Cardiology. 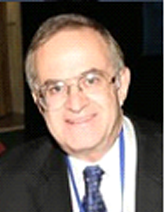 Dr. Kimchi attended and received his medical degree from the Hebrew University, Hadassah Medical School in Jerusalem. He completed his Cardiology fellowship at Hadassah Medical Center in Jerusalem, completed a residency in Internal Medicine at the University of California, Davis. At Cedars-Sinai Medical Center, Dr. Kimchi concluded two fellowships: Cardiology-Clinical Research, and Critical Care.